Turning Vision Into Action: Becoming a “Teaching” Institution! This week I had the pleasure of working with more than a hundred teacher leaders and administrators from Santa Barbara County in California. All of them are extremely dedicated to their work - especially their leadership of the PLC collaborative team effort toward improving student achievement. We spent time in deep inspection regarding the relational and social intelligence necessary to do PLC work. At one point we were discussing the process of collaboration that capitalizes on the fact that teachers and administrators come together, using diverse experiences and knowledge, to create a whole that is larger than the sum of the parts. Although teacher collaboration as the solution to sustained professional learning and teaching of one another is the pursuit, there are often few structures in place that allow for that pursuit. Seeing themselves as partners with other teachers, they are dedicated to improving the profession. They care about the quality of teaching in their schools, and, to this end, their collaboration with colleagues is continuous and explicit. They recognize that collaborating in a professional learning community contributes to their own professional growth, as well as to the growth of their peers, for the benefit of student learning. 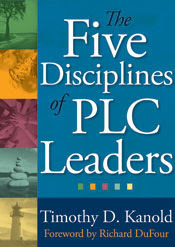 Teachers promote the ideal that working collaboratively increases knowledge, reflection, and quality of practice and benefits the instructional program (p. 75). This led to a reflection on my Northwestern Memorial hospital experience a few years ago during a 5 hour heart ablation procedure. A variety of medical personnel were in attendance in the operating room, as observers. In my follow up visit to the cardiologist, I asked him why there so many observers that day during my procedure – and, didn’t it make him nervous? His response was simply, “We are a teaching hospital”. 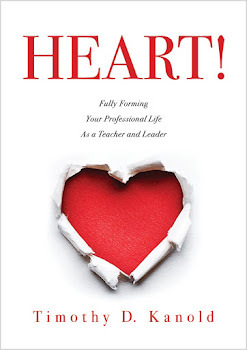 He went on to describe the intentional and formative feedback he and his team receive on such procedures – with all level of detail – in order to both teach others and to learn from those “others” in the room that day. They do their great work (I am evidence of that work) in the context of understanding their deep responsibility to teach one another as they grow in their craft and their understanding of what works and what could still be better. It begs the question, are you part of a teaching school? Do the adults daily observe the work of other adults in order to routinely seek and give formative feedback to one another? Is your school structured in such a way as to support this type of culture? The professional development and learning of teachers and teacher leaders is not solely a prerequisite for improved student achievement. It is a commitment to the investment in professionals who have the largest impact on students in schools – the administration, faculty and staff. There is an understanding that the knowledge capacity of every faculty member matters. More importantly, however, is that there is also an expectation that every teacher and leader acts on that knowledge and transfers the professional development they receive into their daily classroom practice. I’d like to think that my doctor is better at his work today than he was almost two years ago, in part, because of that transparency and inspection of his practice. As his patient, I was the beneficiary of his being part of a “Teaching” hospital. Can your students say the same for your school? Every School should be structured to provide such type of education to our kids, , Ofcourse it directly redirect to faculty of School.